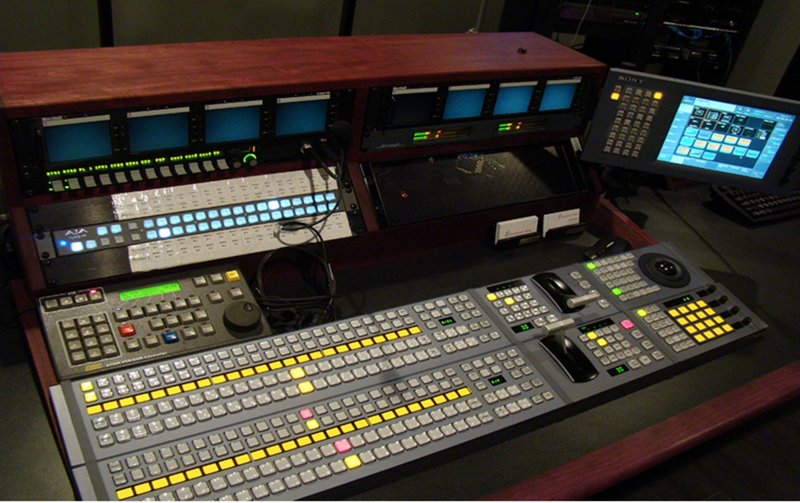 This tapeless Control Room serves the studio in High Definition by utilizing 5 AJA-Ki Pro recording decks. Key Equipment includes three Sony HXC-100 camera chains with Canon HD lenses featuring servo zoom and focus controllers. We employ Listec teleprompters and all cameras sit on Sachtler pedestals. Switching is done via a Sony MVS6000 1.5ME switcher. High-definition graphics are handled by the Harris Inscriber G7 on dual channels. Operators monitor all sources on a 12 screen marshall monitor wall system.